Christian Malcolm began his sporting career in football; he played for QPR, Nottingham Forest and South Wales Schools before switching to athletics at the age of 11. Christian was fast out of the blocks, winning his first British vest at 17. A year later, he took double gold in the World Junior Championships in the 100m and 200m sprint, and silver at the Commonwealth Games in Kuala Lumpur with performances that would set new Welsh records. Named 1998’s World Junior Athlete of the Year, Christian built on these achievements on the turn of the millennium by appearing at Sydney Olympics. The following decade saw the man from Gwent become an established competitor on the international scene. He took 200m silver at the Lisbon World Indoor Championships in 2001, and won bronze medals in the men’s 4x100m relay in Helsinki and Osaka, in 2005 and 2007 respectively. In 2008, Christian returned to the Olympic stage, appearing for Great Britain in Beijing; he made it through to the finals, eventually moving up to 5thoverall. Superb performances towards the end of his career secured a bronze medal at Delhi’s 2010 Commonwealth Games, and silver at the European Championships in Barcelona, both in the 200m. 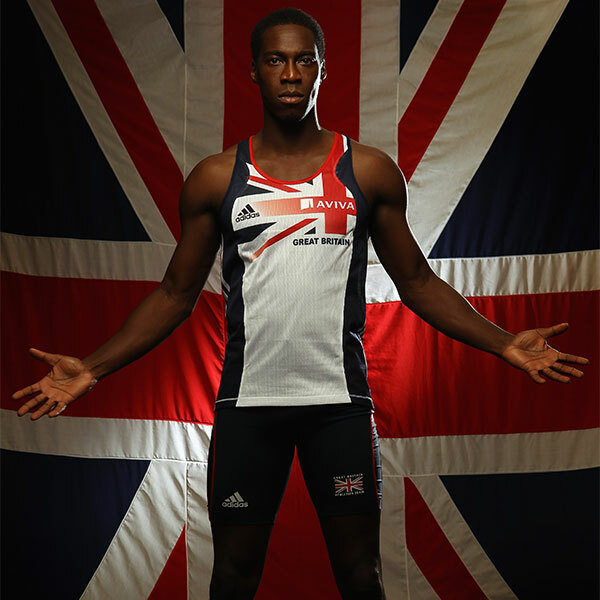 Christian now uses experience to nurture Britain’s future athletic talent through the Christian Malcolm Sports Academy. HUB XV is proud to welcome Christian on board as an ambassador. His years of application, discipline and attention to detail mean he knows what it takes to achieve sustained excellence at the highest level.